The Cleo Fund is the spay/neuter arm of the Animal Welfare Society. Founded in Portland in 1971, the Cleo Fund was the first organization in Maine to recognize the importance of spaying and neutering pets. What started as a fundraising effort to help spay Cleo, a stray dog that had recently given birth to 10 puppies, turned into a non-profit organization dedicated to helping income-qualified individuals afford spay/neuter surgeries for their pets. In 2012, the Cleo Fund selected the Animal Welfare Society to carry on its mission. The merger created the largest spay/neuter organization in Maine, allowing the Cleo Fund to expand its reach statewide and continue helping income-qualified Maine cat owners afford spay/neuter surgeries for their pets. Under AWS, the Cleo Fund established a voucher program, redeemable at participating veterinary practices statewide. The veterinarian discounts the surgery, the client pays a small co-pay, and the Cleo Fund pays the remaining balance. A limited number of vouchers are available each month, to residents of Androscoggin, Aroostook, Franklin, Hancock, Kennebec, Knox, Lincoln, Oxford, Penobscot, Piscataquis, Sagadahoc, Somerset, Waldo and Washington counties. Vouchers can be requested online. Cumberland County and York County clients are referred to the AWS Community Veterinary Clinic, located in West Kennebunk, to receive a high-quality, low-cost surgery for their pets. The Cleo Fund coordinates spay/neuter clinics throughout the state. The high impact model successfully alters 90 animals over the course of three days. The frequency and locations of the clinics are based on grant funding and veterinarian availability. In 2017 alone, including both vouchers and clinics, the Cleo Fund helped spay or neuter 2,013 pets and reached individual pet owners in all 16 Maine counties! 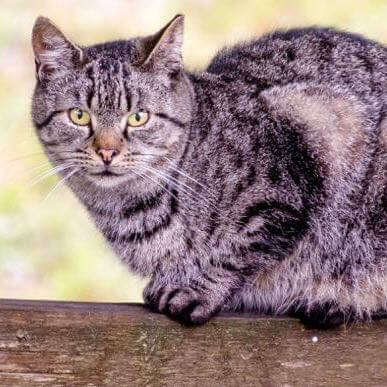 In addition to providing financial resources for spay/neuter surgeries, the AWS/Cleo Fund advocates for the importance of spaying/neutering pets, puts on educational seminars and offers resources and services to feral cats and their caretakers in Southern Maine.